Students at Bishop Stang High School in North Dartmouth, Massachusetts aren't just doing homework to earn an "A." They're hoping a unique science project can change lives half a world away. 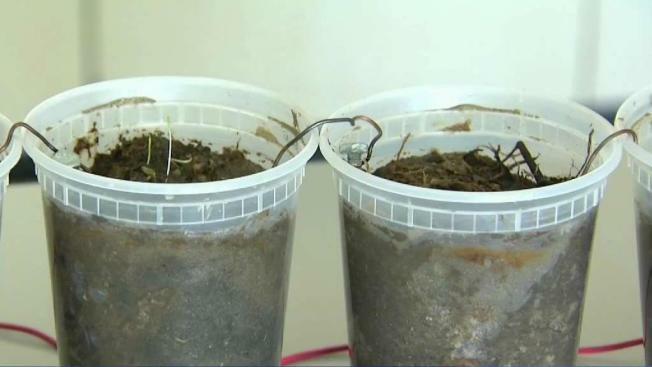 Students are using Microbial fuel cell, or, in other words, the bacteria in mud, as fuel for electricity. “This is mud you can get anywhere," said senior Kenneth MacKenzie. "You can go outside at a pond. The smellier the better." The fact that the mud can be found almost anywhere peaked their interest. “The teachers in Africa said you can’t give them [students in Africa] too much homework because they can’t study," said Kathy Crosson, chair of the science department at Bishop Stang. "Most of them come from villages that don’t have electricity." So the students at Bishop Stang turned their research project into a mission to help students in Tanzania. They're hoping to make batteries out of mud so the students in Africa can study and do homework after the sun goes down. The students were given a grant by The Carney Family Charitable Foundation to do these experiments. The Bishop Stang students are currently sharing their data and equipment with St. Mary’s secondary school in Dar Es Salaam. “Our hope is that they will be able to use the batteries in their villages so when we go this summer we will be able to connect with them and share the data,” Crosson said. This experiment has made the Bishop Stang students realize that there is more to school than getting good grades. “It is really cool to know that this could help someone in another country that’s not as fortunate as us,” Mackenzie said.